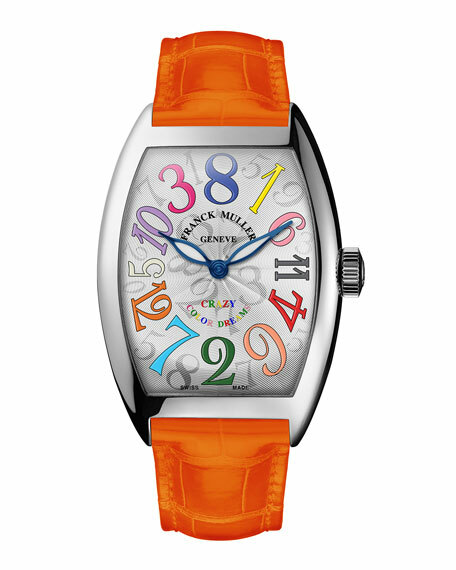 Franck Muller watch from the Vanguard Collection. Multicolor Arabic numeral hour markers. Alligator strap with rubber lining.